Garden Room Planning Permission - all you need to know! NOTE: All our buildings are manufactured to meet the 2.5m height Planning restriction. You are strongly advised to read a technical guidance document produced by the Government. This will help understand how permitted development rules might apply to your circumstances. 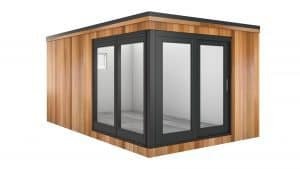 Do I need building regulations approval for a garden room? If you want to put up small detached buildings such as a garden shed, garden room or summerhouse in your garden, Building Regulations (except Part P for Electrical works) will not normally apply if the floor area of the building is less than 15 square metres INTERNAL and contains NO sleeping accommodation. Part A of the Regulations for structural integrity is fully complied with, ensuring that the building is constructed so that combined dead loads (weight of structural elements), imposed loads (snow, maintenance activities, etc) and wind loads are accounted for. Issues addressed cover elements such as the size and bearing of roof timbers relative to the unsupported roof span per guidance issued by NHBC and TRADA. Part P In the case of Garden Buildings Part P applies and any work is notifiable to the Local Authority. Work can be self-certified by an Electrical Installer who is registered as a competent person using aBS7671 electrical installation certificate for every job they undertake, with a copy given to the householder. This is supplied by Modern Garden Rooms where we are contracted to do this work. 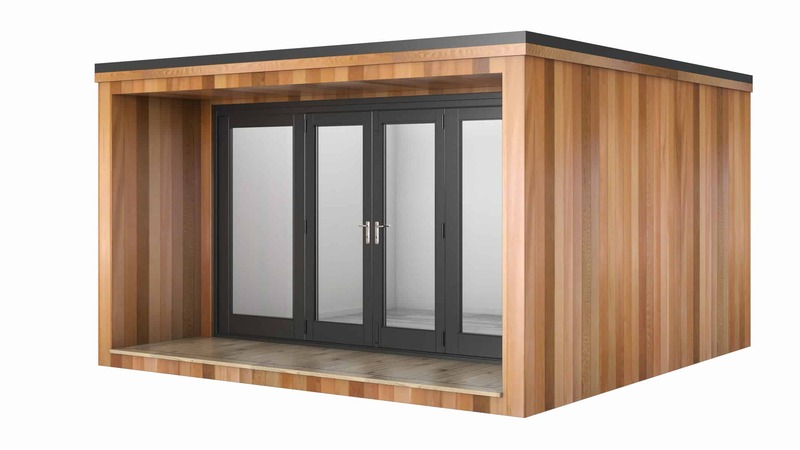 Our standard Garden Rooms are electrically 1st and 2nd fixed internally only. Although we are happy to quote for the installation of an armoured cable from the house to the garden room as required, it is not included in our standard Garden Room prices. This is due to the many on-site variables such as: distance from your house to the Garden Room, paths, patios, driveways and other obstacles which could be in the way etc. In most cases it is almost always more beneficial for our clients to engage a local Electrical Contractor, rather than pay the higher costs which we would need to charge due to the distance travelling to site by our own Electrical specialist.